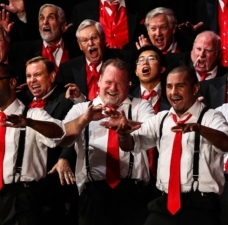 PARTY OF FIVE, a barbershop quartet from Pennsylvania and New Jersey , bested 23 other groups to capture the gold medals in Saturday’s International Seniors Quartet Contest sponsored by the Barbershop Harmony Society. 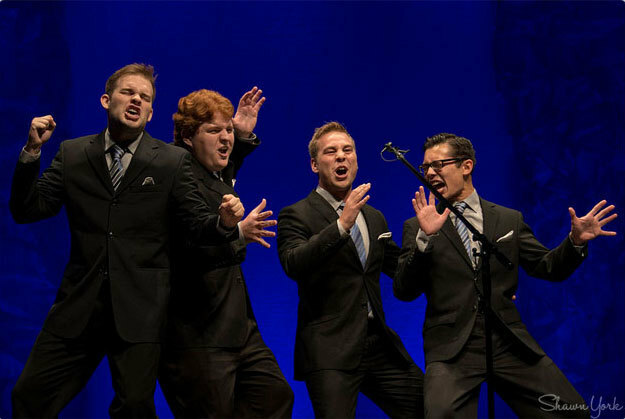 Singing “What’ll I Do?” and “Anytime,” the quartet squeezed past two quartets who the previous year had tied for second place, a vivid illustration of the quality of performers at the highest ranks of the seniors division. 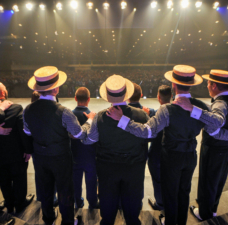 Men competing in the seniors division must be age 55 or older, and the quartet’s cumulative age must be 240 or greater. 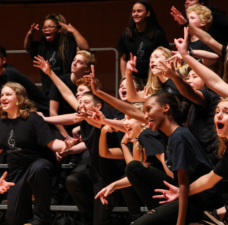 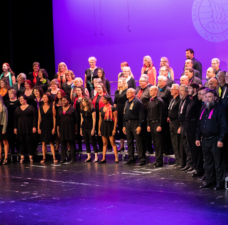 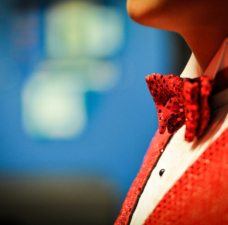 More than 2,100 close-harmony singers and guests from around the world gathered in San Antonio for the Society’s Midwinter Convention, which Friday featured more than 600 singers in the International Youth Barbershop Chorus Festival and International Sneiors Chorus Festival.